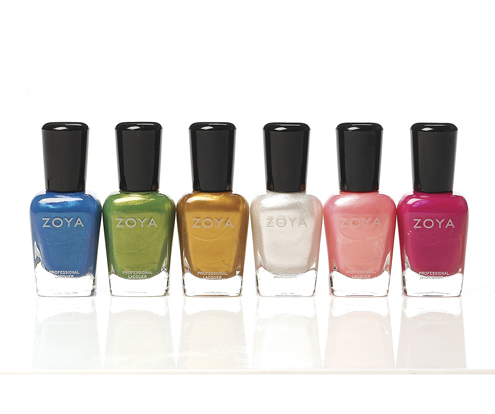 The Collector's Bin: Nail polish - a health threat? I am addicted to nail polish - whenever my nails are bare I feel something is missing. As a result, my nails do suffer and are very weak and prone to breaking, splitting etc. While looking for treatments in the OPI stand, I found a bottle that was "formaldehyde" free. Now I know this chemical is toxic, and I was surprised to discover that almost all nail polishes contain not only formaldehyde (a preservative), but also toluene (a thinner), and DPB (found in all plastics, and is known to cause birth defects) - all of which are carcinogenic and toxic. They are referred to as The Big Threes (TB3). I am definitely not planning on throwing my 50 something collection of polishes, but will invest more in natural ones. 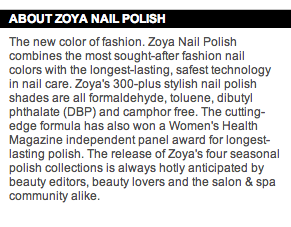 Zoya brand is does not contain any of these ingredients. 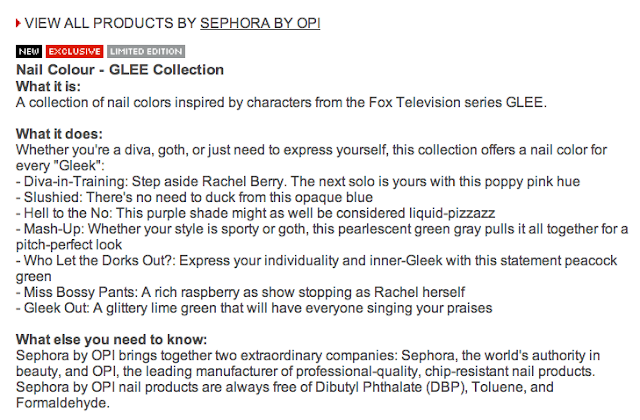 Thank goodness because they have beautiful swatches. Alllaqueredup - the nail polish guru talks about natural polishes in her post about the big three toxics. She also lists other brands that are natural. Bottom line, it's good to go green, but I don't think that those brands containing TB3 will produce immediate noticeable harm, unless you have paint on your nails for twenty years straight. That's what I feel anyways. 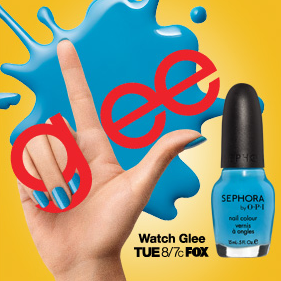 Love the glee nail polish names! 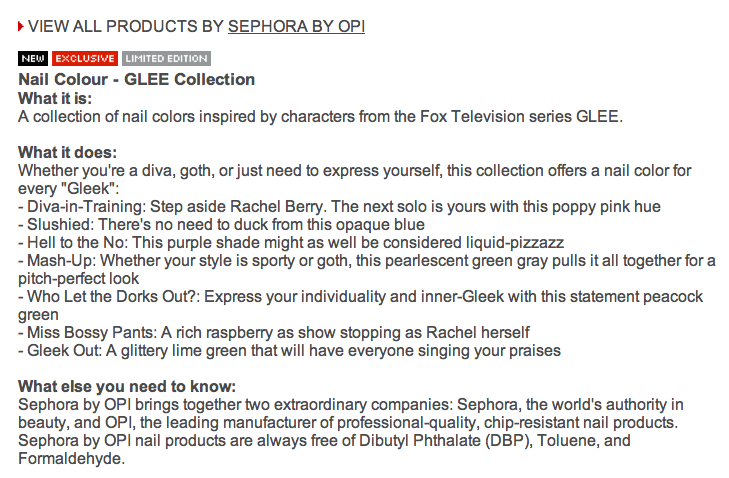 I'm a glee fan!